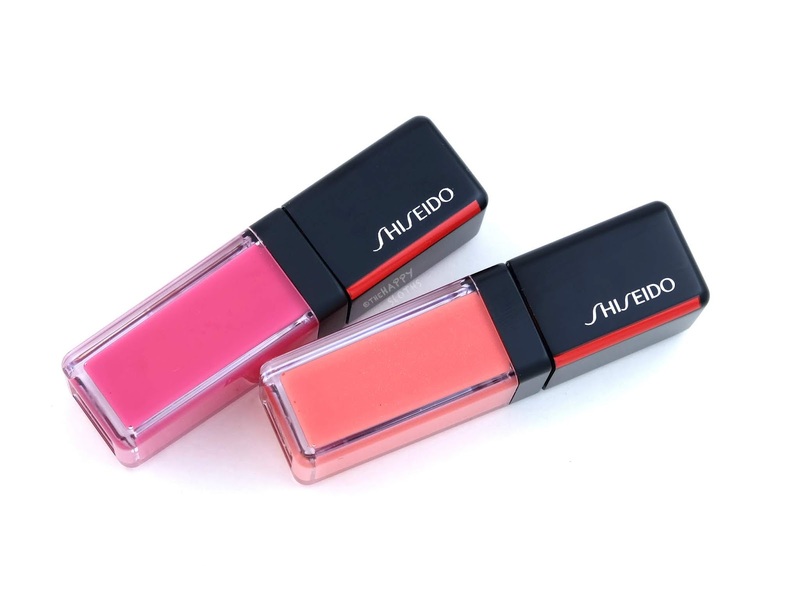 The Shiseido LacquerInk LipShine comes in a clear acrylic lip gloss tube. The cap and the top of the tube has a matte black finish that looks and feels super modern and sleek. The doe-foot applicator is tapered at the tip and it has a concave dip in the middle which helps pick up more product. 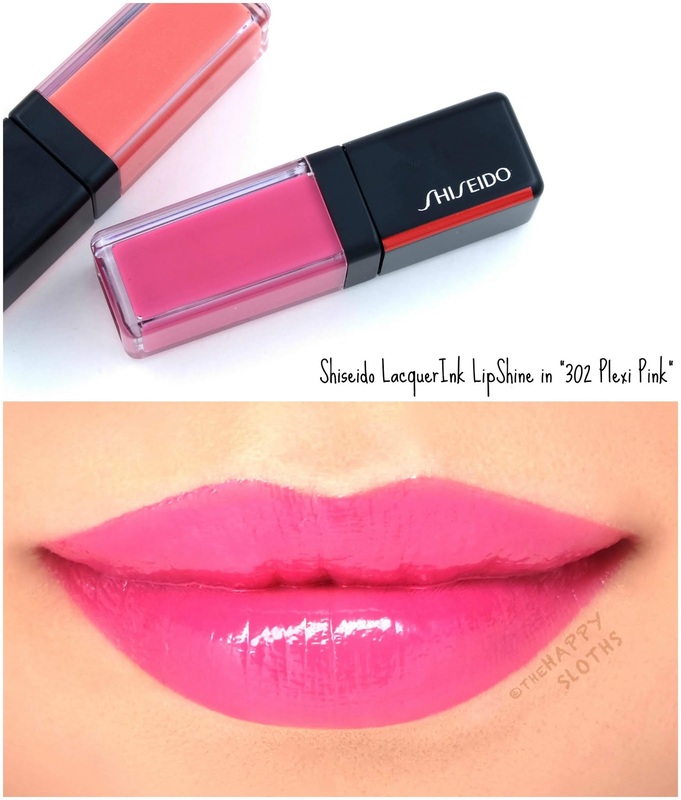 Shiseido | LacquerInk LipShine in "302 Plexi Pink" & "306 Coral Spark"
The LacquerInk LipShine is a pigmented liquid lip color with a lightweight, gel-like formulation that's hydrating and shiny. The pigmentation is phenomenal but I found the application a bit streak. Several careful swipes are needed to ensure a smooth and even finish. 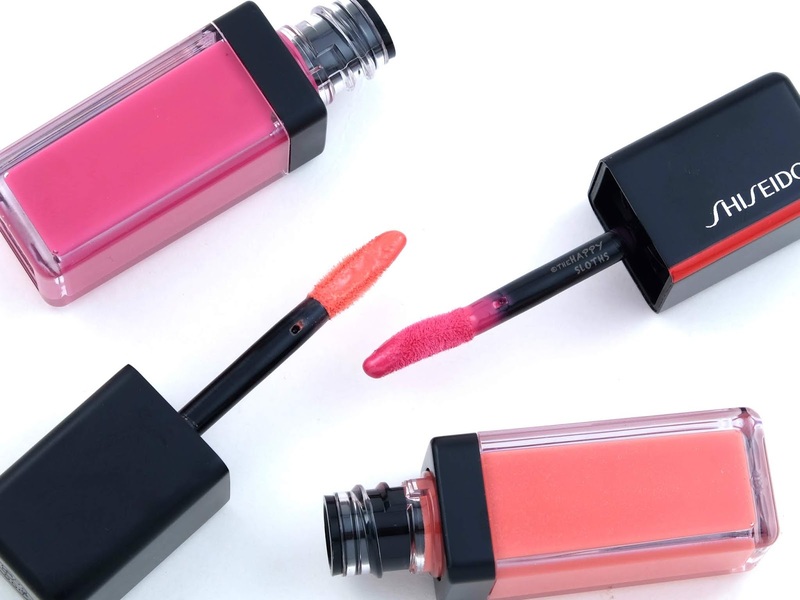 Although the LacquerInk LipShine is completely non-sticky, the finish is prone to smudging and transferring so frequent touch-ups are required to maintain an even and shiny finish. "302 Plexi Pink" is a bright barbie pink while "306 Coral Spark" is a soft coral peach packed with flecks of iridescent sparkles. The pink leaves behind a subtle stain while the coral does not. In summary, this is a range of high-shine, pigmented liquid lip colors. 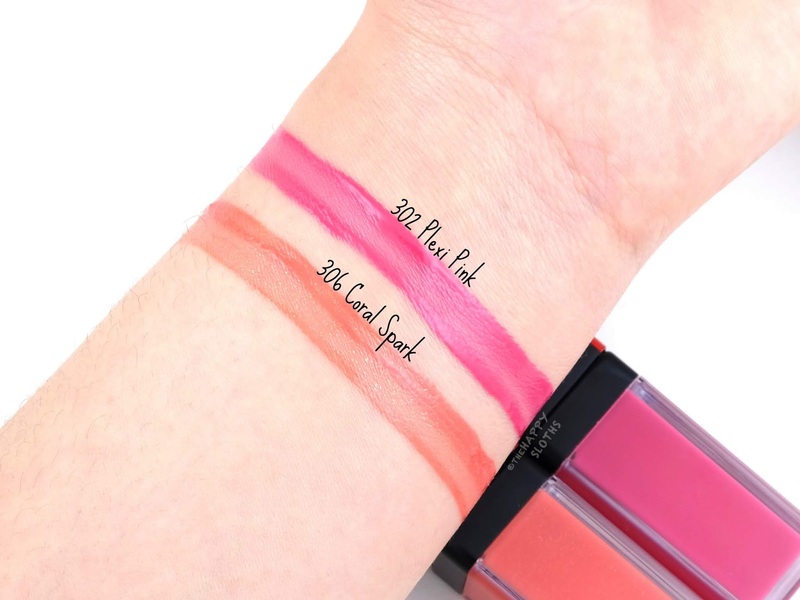 The finished look is just stunning but both the application and maintenance are quite demanding so I would not recommend these for those looking for an easy, on-the-go lip product. 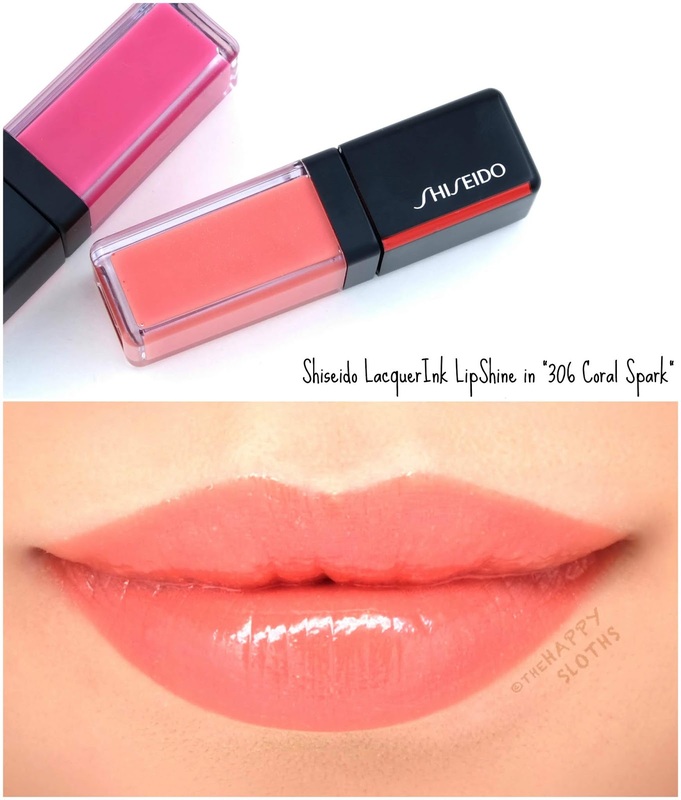 Shiseido | LacquerInk LipShine in "302 Plexi Pink"
Shiseido | LacquerInk LipShine in "306 Coral Spark"
Shiseido is available at Sephora, Nordstrom, Hudson's Bay, Jean Coutu, London Drugs, Shoppers Drug Mart, and Murale.